This agapanthus produces luxurious green foliage that tinges red in the winter months. In summer appear the large umbels of deep blue flowers that rise far above the foliage on 3-4 foot tall blackish stems in summer. 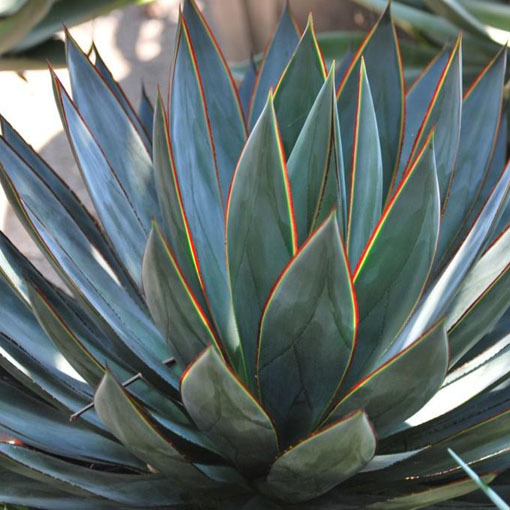 This hybrid will grow in sun or part shade, with moderate water. Hardy to 20-25 degrees F. This cultivar was introduced by The Saratoga Horticultural Foundation. It is not to be confused with an older selection of the same name made by Jimmy Gridlian and sold by Plants Delight Nursery. Compared to A. ‘Ellamae’: Storm Cloud is a slightly smaller plant with smaller flowers of a darker blue. full sun part shade zones 8-11. Produced by tissue culture.